Toby Stephens talks with TV Time Machine radio host Jim Benson about playing Captain Flint on his hit TV series Black Sails, which airs Sundays at 9 PM on Starz. 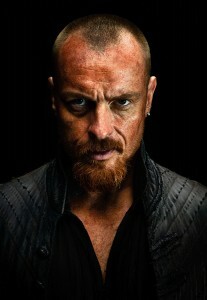 In this audio edition of the TV Time Machine, we welcome Toby Stephens of Black Sails. Mr. Stephens is a prolific actor, having appeared in Die Another Day, 13 Hours: The Secret Soldiers of Benghazi, and the remake of the classic TV series, Lost in Space. In the next audio segment, Toby Stephens discusses playing Captain Flint in the hit series Black Sails, which airs Sundays at 9 PM on Starz. Again, for those of you intrepid enough to walk the plank, feel free to say “Aye, Matey!” as we bury our treasured memories in the past, in order to set sail, for the future!